How do you know where your system is pushing its limits? How do you know when you’ve got power to spare? How do you know when it’s time to upgrade? These are recurring questions in my email. So, in this tutorial, I want to show you different ways to measure the performance of your computer system without spending any money. 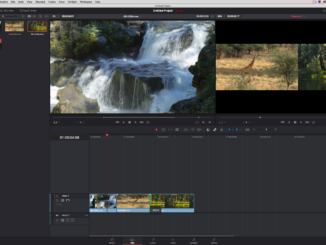 Many editors focus on the capacity of their storage. This is important, of course, but as frame sizes get bigger and we shift into HDR media, capacity is no longer the limiting factor. Bandwidth is. 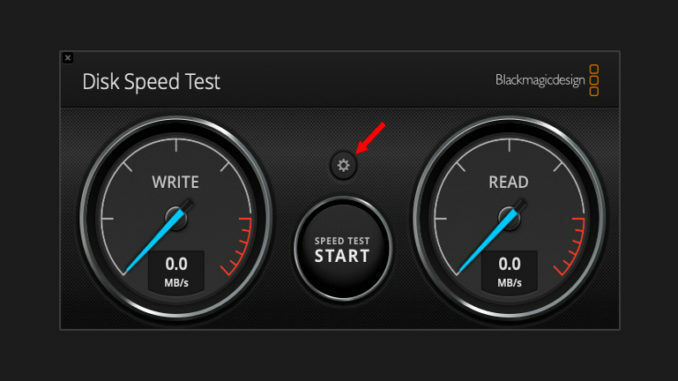 With Disk Speed Test, click the Gear icon to select the storage system you want to test, then click Start. This test loops every ten seconds or so, first measuring write speed, then read speed. 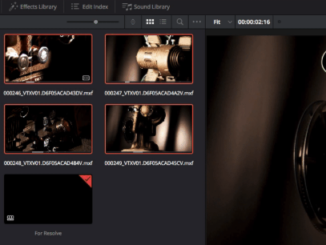 After each loop, it displays check boxes for media formats your storage bandwidth is able to support. I’ve found that letting this run for about 30 seconds is enough to get accurate results. Here, for example, measuring a 4-drive RAID, the system is fast enough to support ProRes 422 HQ up to 2160p/60, but 10-bit YUV files only to 2K/25. This also clearly illustrates the significant increase required in storage bandwidth to support larger frame sizes, less compressed codecs, and greater image bit depth. 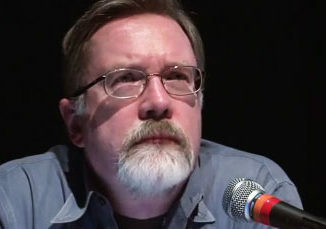 After about 20 seconds, the utility illustrates read and write speeds. Don’t worry if the two tests don’t match; numbers plus or minus 10% of each other are fine. The two utilities use different ways to measure bandwidth. 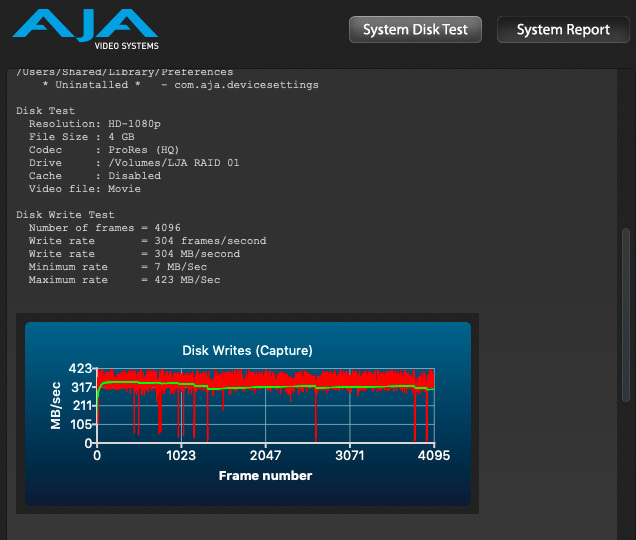 An interesting feature of the AJA System Test Lite is clicking System Report. 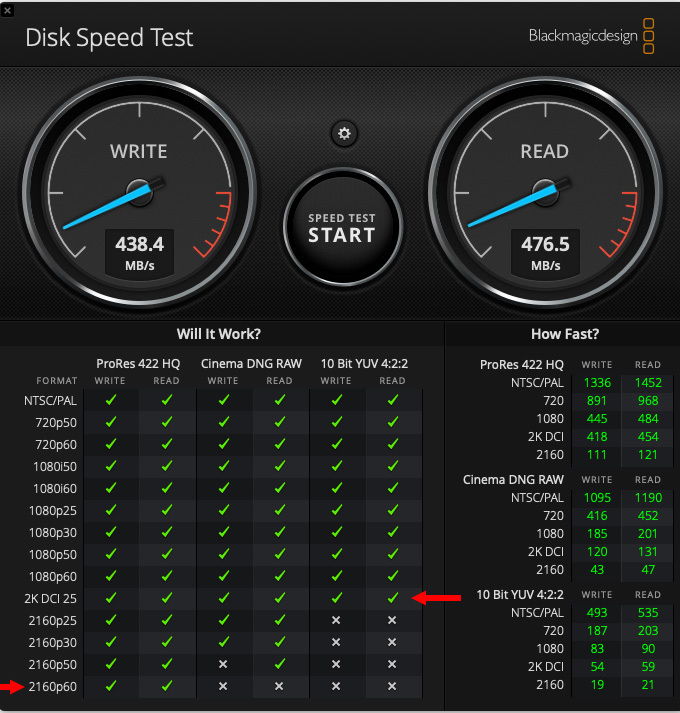 In addition to providing a lot of technical detail, it shows the slowest and fastest reads and writes during the test. Since both utilities average disk performance over time, it’s nice to see these variations. Again, your software can handle most of these variations. 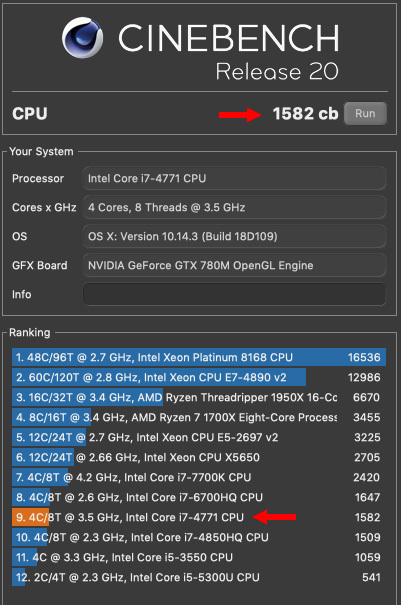 Cinebench, from Maxon, is a utility that tests the performance of your CPU for rendering, then ranks it against other systems. NOTE: Cinebench does not test GPU performance. To start the test, click the Run button. 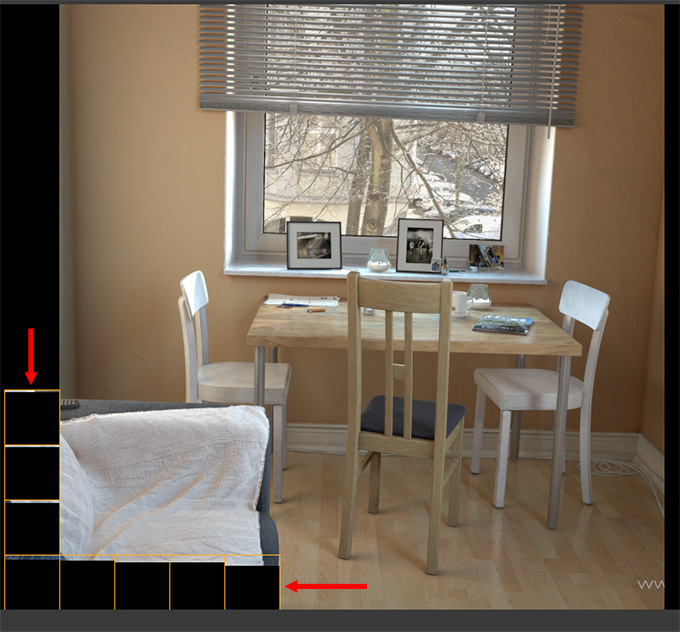 Cinebench then renders an image, using your CPU and the graphics engine of Cinema 4D. This isn’t a photo, its a 3D model. Each orange square represents a core on your CPU. I have a four-core, eight-thread system, so there are eight squares. Your system may look different. When the test is done, the results are displayed on the left, and you can easily compare yours to other systems. Here, my score is 1582; this is an older computer and pales when compared to newer hardware. Each test takes about two minutes to run. Here are the results of my CPU benchmark, plus LOTS of statistics on how the CPU did under a wide variety of tests. This is an older system that I use to write this newsletter. Your speeds will, undoubtedly be faster. The latest version adds a “Compute” benchmark that tests the GPU. However, in order to test the Metal API, which yields the best results, you need to purchase Geekbench. This is worth doing, as Geekbench is solid software. But, purchase is not required to make the most of your system; especially if you only use one computer all the time. For me, Geekbench is most useful when comparing multiple systems, as opposed to tracking a single system. 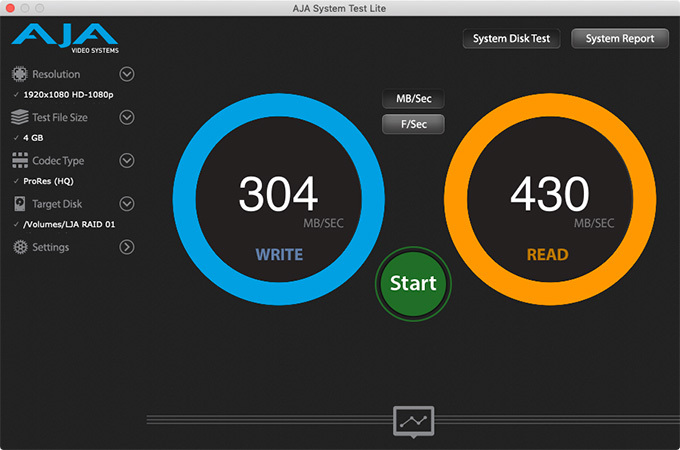 Read the rest of Larry’s tutorial, including how to watch your app’s performance through Activity Monitor, How hard your CPU and GPUs are working, and is your hard drive handling enough data over at larryjordan.com.